After a week off, Fan Art Friday is back! This week we’ve got some more great art for you, including not one but two pieces of “Official Fan Art” by our amazing contract staff! 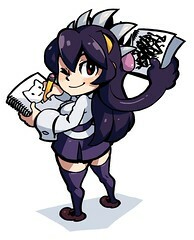 Filia and Samson pose in this great piece by Pixiv’s 透間明人. Cerebella celebrates a victory in this piece by Toyall. 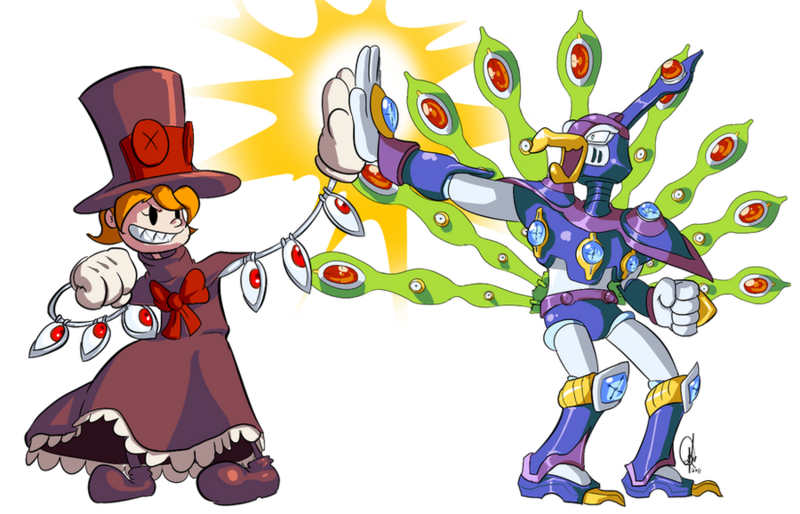 Peacock celebrates with Mega Man X4′s Cyber Peacock in this piece by Triple-Q. Ms. Fortune kicks high in this piece of Official Fan Art by clean-up contractor A Bad Idea. This amazing piece of Official Fan Art by clean-up contractor AudioErf made us all want babby Egret plush dolls. 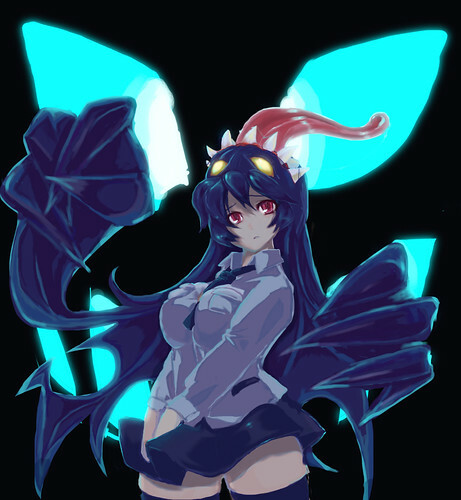 All of these are great, I like the top one with Filia and Samson, the “Peacocks” one and the Parasoul one. Make the plushes, I’ll buy one! I like the last one, because Parasoul is so hot. Ah, very awesome! They’re all really well-done, and I give my praise to the artists! thes fan art fridays do some REAL SOVIET DAMAGE to my spleen…a lot. Give in to the cute.